This is a fairly easy model to construct and the time is shown in hourse minutes and seconds. 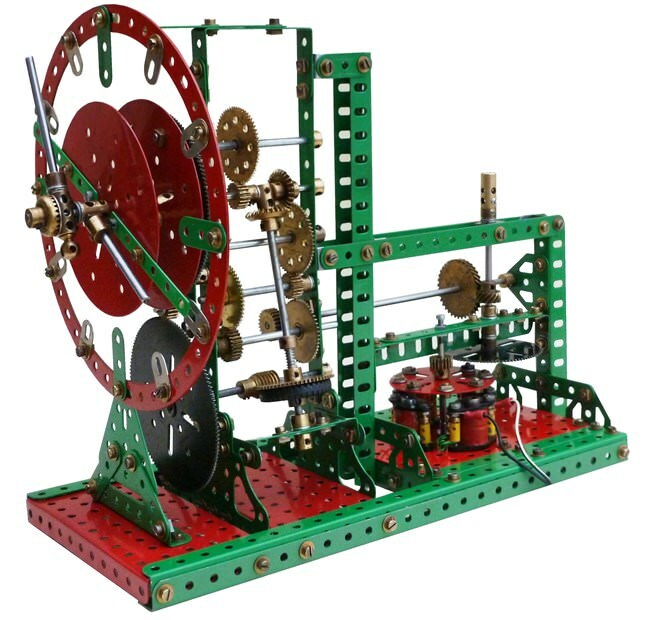 The synchronous motor is built up using standard Meccano coils. The instructions are complimented by ten detailed photographs.